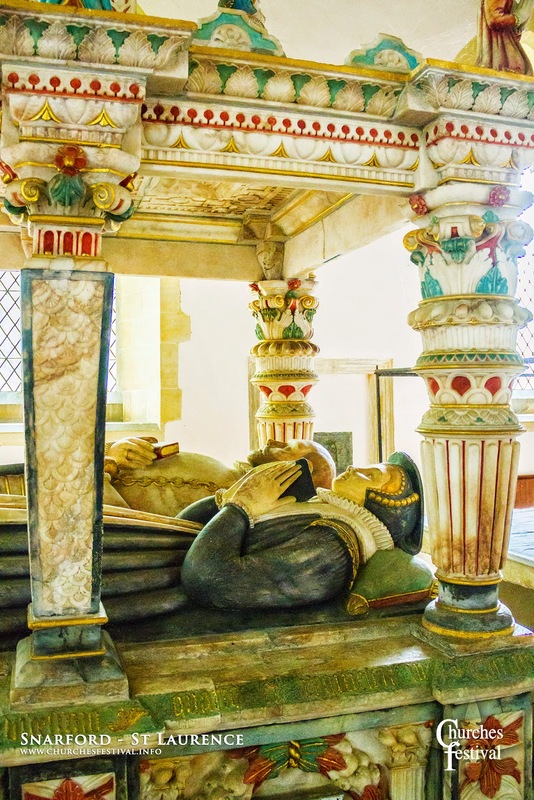 Situated in the heart of rural Lincolnshire, St Lawrence’s church contains the magnificent memorials to the St Paul and Wray families. Almost overlooked is the memorial scroll to the men of the parish who served in WWI. 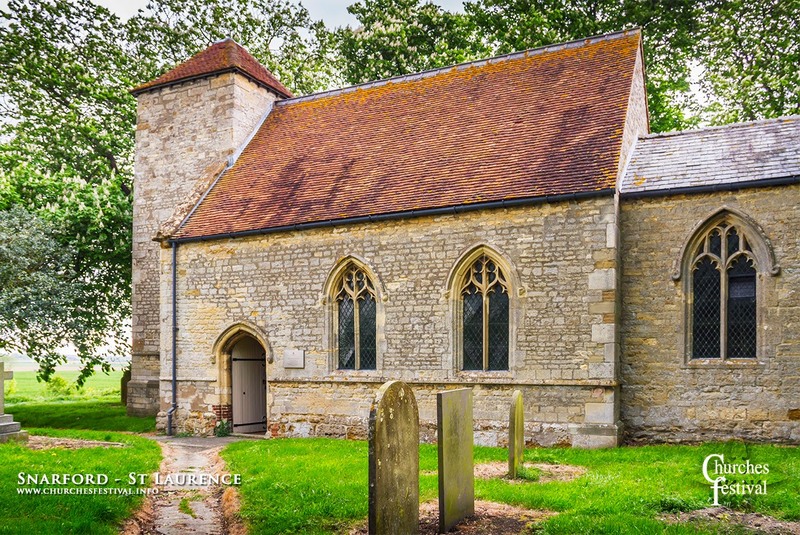 The unremarkable exterior of this small medieval church does not prepare visitors for the breathtaking surprise within. Behind the altar, occupying the chancel and an adjacent chapel, are three wonderful late 16th and early 17th century monuments to the St Paul family, fascinating for their sheer opulence and completely different styles. 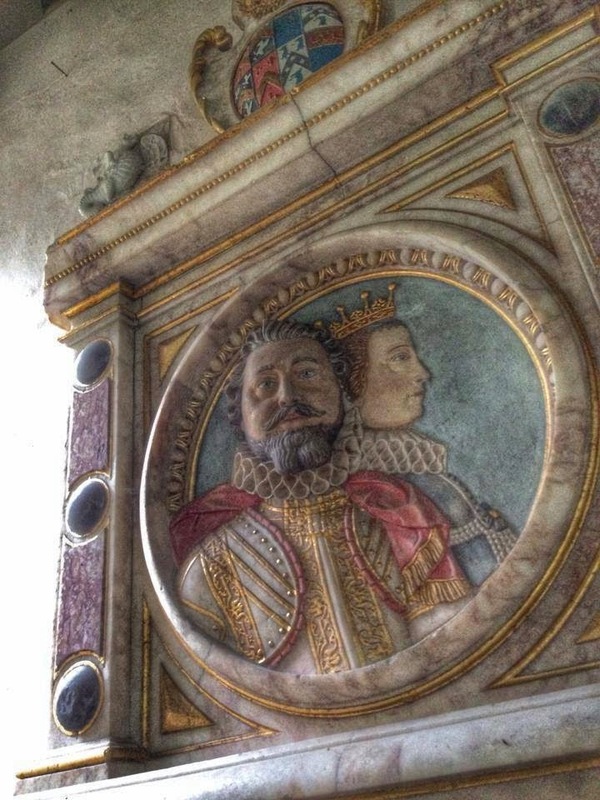 The immense painted monuments of the Snarford family from the now vanished Snarford Hall are of national significance. 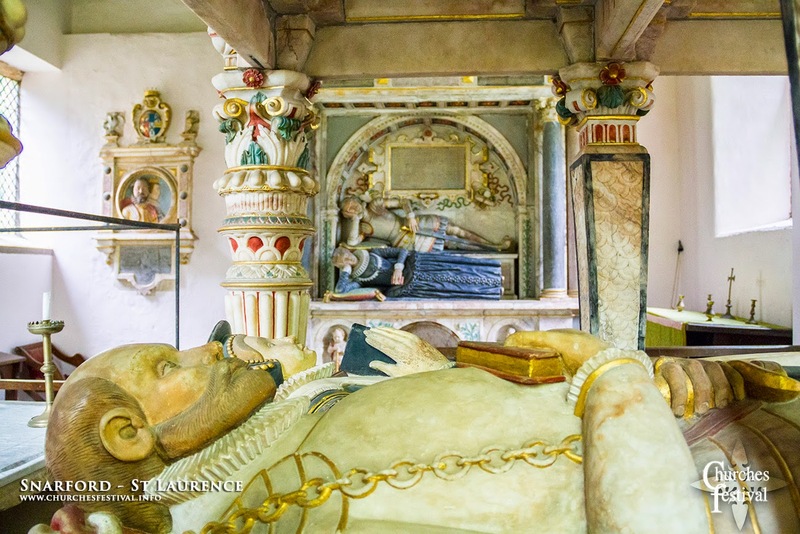 The most imposing tomb, to Sir Thomas St Paul who died in 1582, is lavish and highly coloured. The Elizabethan, Sir Thomas and his wife, lie on a columned six poster bed surrounded by kneeling children. 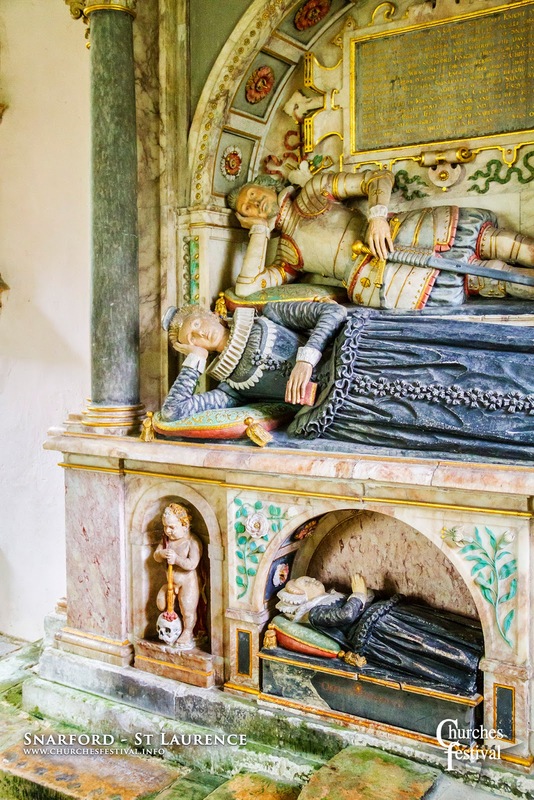 Nearby the Jacobean Sir George reclines with his formidable wife Lady France and their only child, the tragic Mattathia. Lady Frances appears again with her second husband, the unsavoury Earl of Warwick.